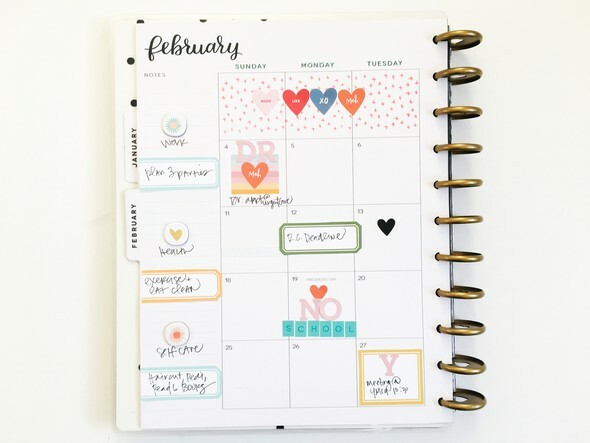 I love how this monthly overview came out so colorful and playful. 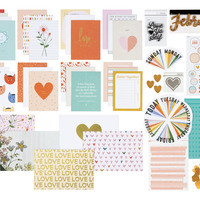 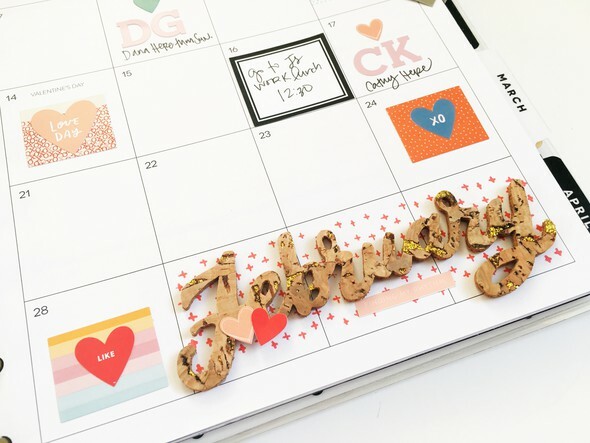 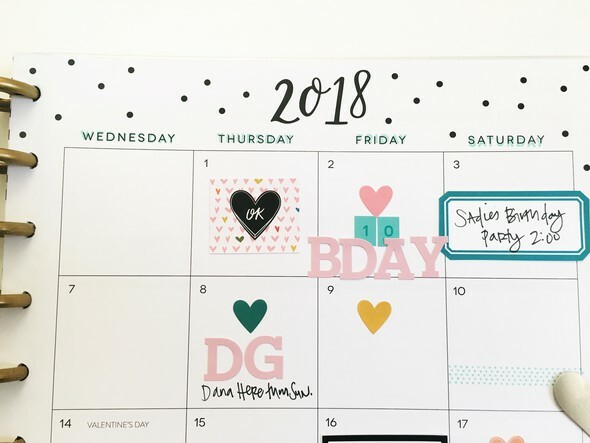 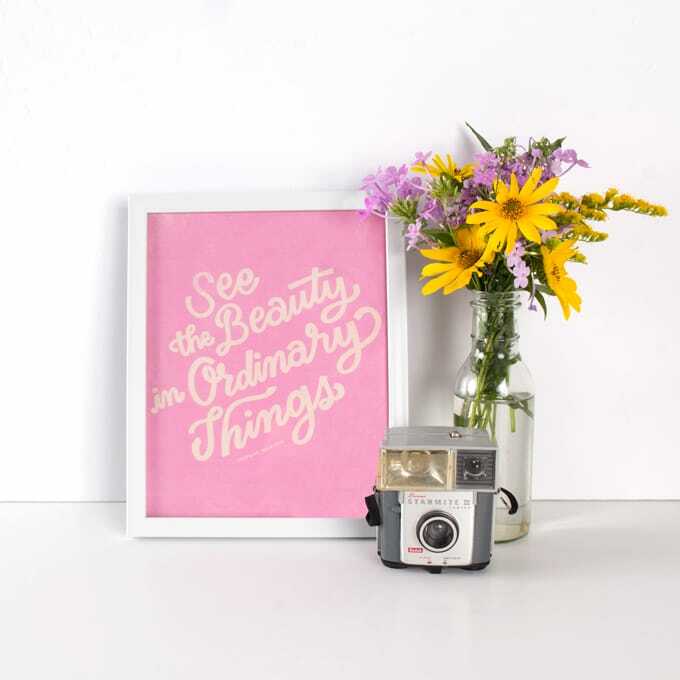 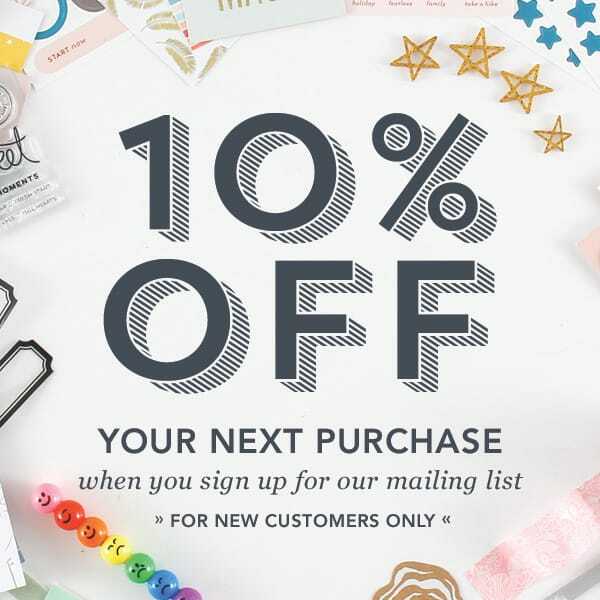 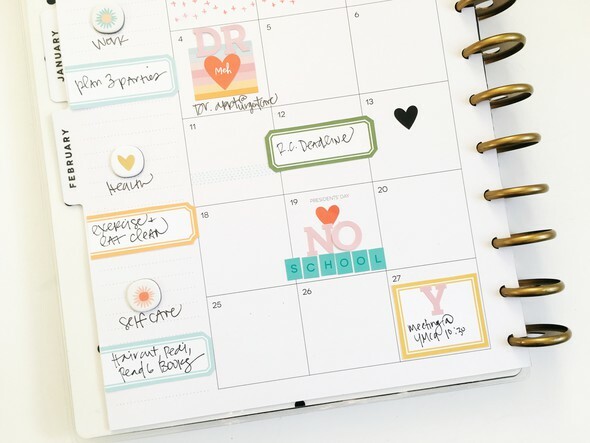 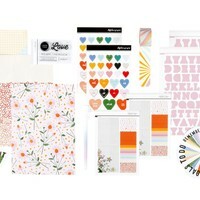 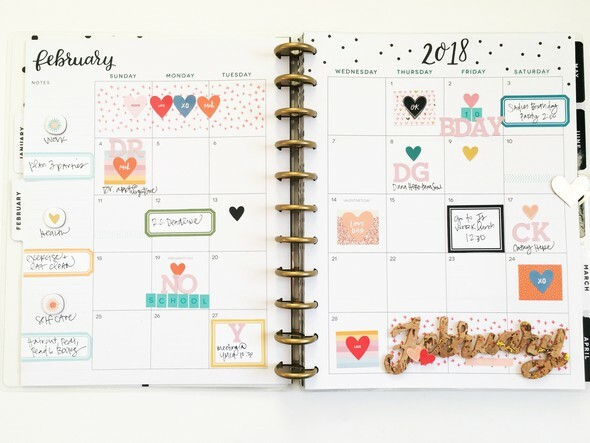 The large alpha from the planner kit highlights the important events during them month and the pattern stamp adds pops of color to the blank/un-numbered spaces at the beginning and end of the month. 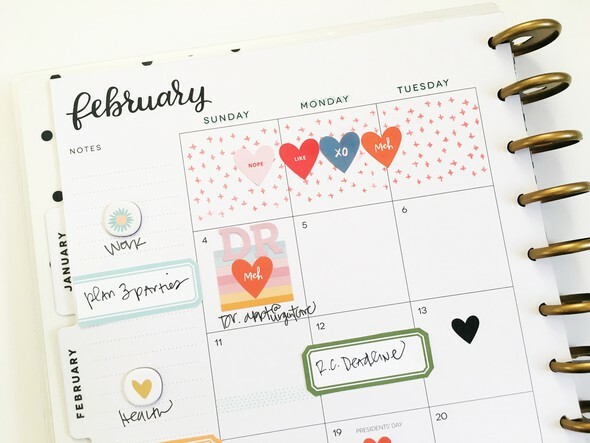 The days of the week stamps in the Fill In stamp set match the daily headers EXACTLY. 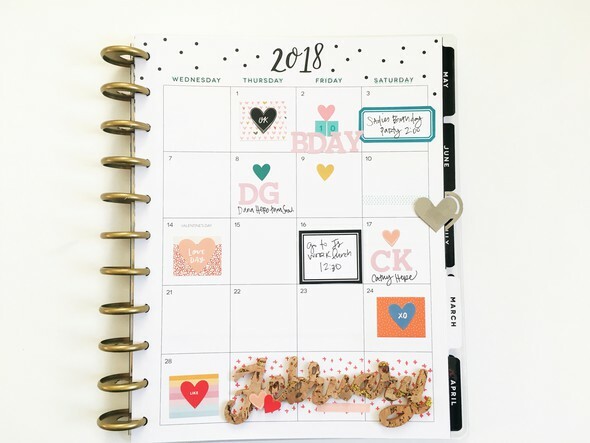 I stamped the days in blue to give some pop to them.